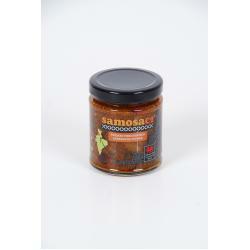 Gluten Free Fruity Pickle with Hot and Spicy Aubergine blend. 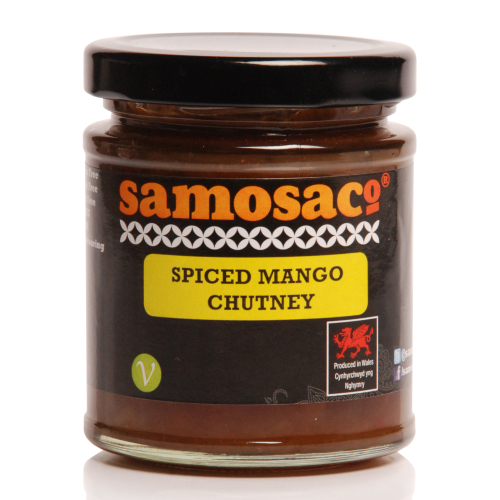 use as and Accompaniment to any curry or eat with poppadoms. Great with mild cheese and with Pizza. Ingredients: Aubergine (54%), Rapeseed Oil, Vinegar, Sultanas, Water, Currants, Garlic, Spices, Salt, Mustard Seed.